You know that you want you community to be a place where Jesus is seen and accepted but how do you begin with a missional community. Most communities start with a team but there are occasions when you have nobody…..what then? 1)Adopt the posture of a learner – it can be easy to make assumptions and to think that you know a community well. However, demographic studies, stats, maps and more stats are no replacement for legwork in the community and getting under the skin of the place. You need to be ready to learn more, listen more, observe continually and accept things may be different to what you perceive. Be ready to learn, be willing to learn and spend a great deal of time listening. Adopt a learning attitude. 2)Seek someone who will inform you – who is the person of peace, someone who imbibes the community, who will share their knowledge and is a friend. They do not necessarily hold your beliefs of faith but they are willing to share with you. Their willingness usual strengthens when you adopt the posture of a learner and not that of teacher. 3) Build relationships – as you talk with people, seek them out again, develop friendships, go deeper and let this rootedness in the community help you to flourish. Not all relationships will be tight, see it more of a spiders web with a central strength and a growing network beyond the fringes. Relationships are critical. These first three steps are very practical and the holy people reading will ask, ‘what about prayer?’ Prayer is the most necessary component and I have assumed it will underpin, surround and inhabit everything. Without prayer you have nothing and the steps above only help begin a social club, not a missional community. Prayer is the blood running through our veins….do not abandon it. All the above takes time….it is worth it! Reading Dirty Glory from Pete Greig has been both a real challenge and encouragement. 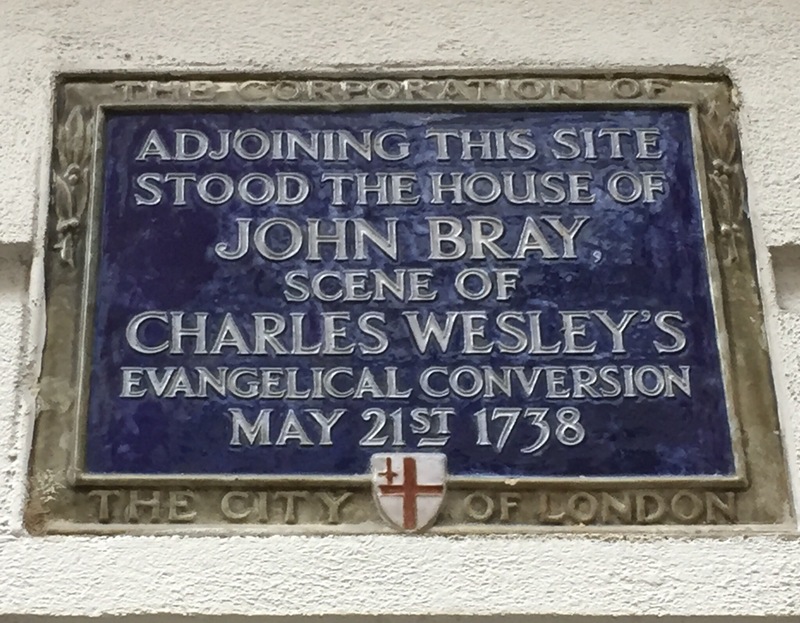 This afternoon, the opportunity to walk around Tabernacle Street, Wesley’s House and through to Aldersgate Street came my way. It was great to think and pray….there were no great revelations, no great insights, just gritty prayer and a fresh desire to see the City, Nation and World transformed. Come Lord Jesus! For a while now, English Christian circles have loved the word ‘community’ as an expression of our engagement with the local area. The changing face of the urban landscape challenges our use of the word to a point that it appears to be losing its meaning. What is our ‘community’? Does the Church use it consistently? It still has value but I do wonder if we need to engage again with using ‘neighbourhood’ as a better term. It has a tighter feel, more depth to its use and is probably a better expression for those engaged in reaching their location with the love of Christ. I may start using ‘neighbourhood’ more and see if it makes a difference.